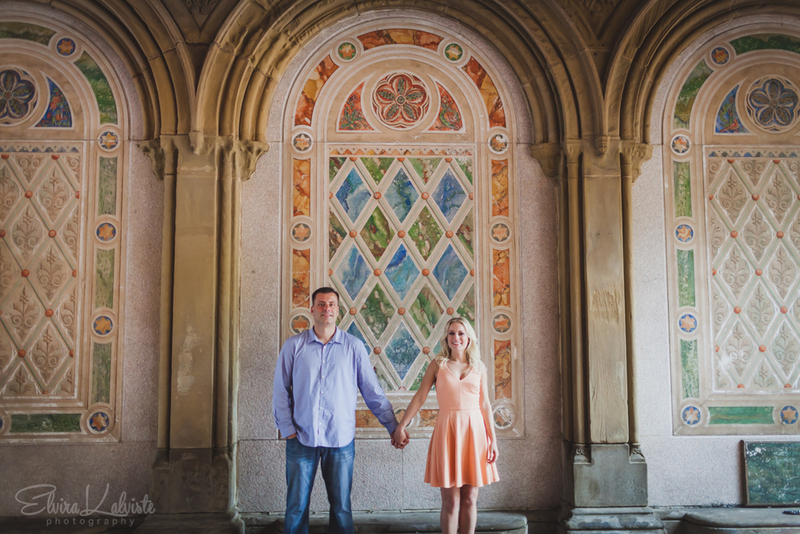 I met Therese and Keith earlier this year photographing their engagement party so I was so excited when Therese contacted me again about doing their engagement photos in Central Park. I had to convince them to do a couple of shots on a nearby rooftop which provided perfect views of the park and the skyscrapers! It was a foggy day and it drizzled throughout the session but it didn't stop us from getting some iconic Central Park shots. There is just something special about these images and Therese and Keith looked just perfect perfect together!